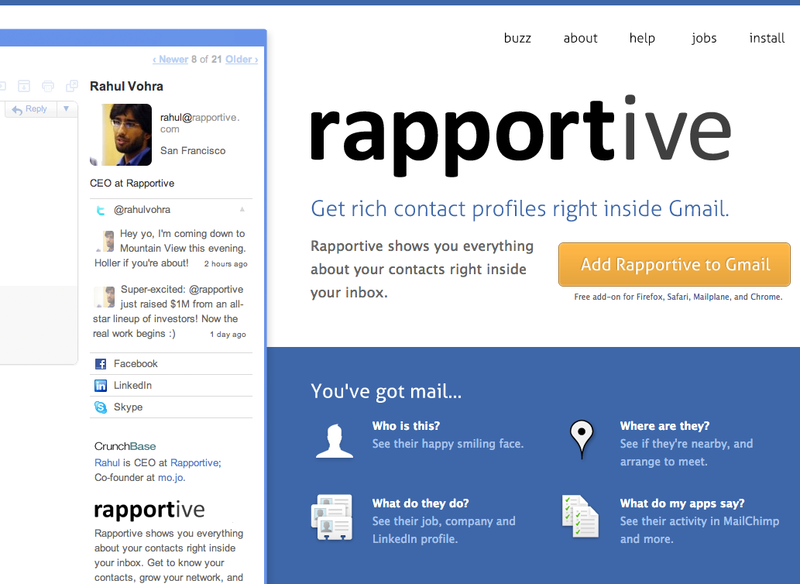 Find An Email Address In Minutes Using Rapportive | Brand On! By now, you may already know about Rapportive. It’s a great addition to a Gmail account (or Google apps email). At a glance, it will give you links to your contacts’ social media sites and even a few of their recent updates.But what I really love Rapportive for is its slightly-hidden secret in helping you discover virtually anyone’s email address in minutes. If you are in sales and marketing (who isn’t? ), this is invaluable, since getting to someone’s inbox directly can be golden.Basically, whenever you start to type an email in Gmail, if the address is a “match” in Rapportive, you will instantly see their information in the sidebar. That’s great, but how do you find out someone’s email in the first place? You could attempt to guess it, but that is hit-or-miss and time consuming.